What Are the Duties of the Board of Directors? A board of directors can serve as members of a for-profit or a non-profit corporate board. Each board performs similar functions, but each type of board has particular facets that are unique to the type of corporation. A board of directors is a group of individuals who serve to provide governance of a corporation. Board of directors may receive compensation or they may be uncompensated. 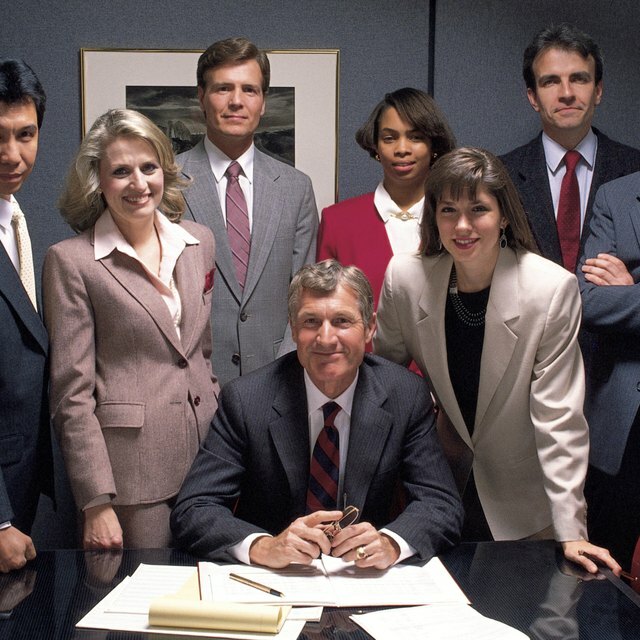 Generally, a board of directors is elected for a term of years. Moreover, the members of the board may also serve as officers of the corporation. Any board of directors performs certain basic functions. Initially, the board of directors establishes the legal corporate form and sets the mission statement of the corporation. In conjunction with this, the board will appoint the chief executive and financial officers of a corporation. Moreover, the board sets the corporation's goals, policies and directives. Additionally, the board is responsible for the finances and resources of the corporation. Finally, the board is responsible to the public for the corporation's public relations and/or image. A board of directors has the authority to conduct its actions based upon authority bestowed upon the board. This power usually derives from the bylaws. The bylaws indicate the specific matters the board can and cannot oversee and also include such procedural matters as the number of board meetings per year, the number of board members per year and voting issues. A for-profit corporate board of directors must be cognizant of certain issues. Initially, the for-profit board has to keep a watchful eye on the chief executive officer ("CEO") of the corporation. The board must assist the CEO and offer assistance to the CEO whenever necessary to achieve the board's goals. Also, the board must determine whether to relieve the CEO from his or her duties or whether to continue with the CEO when his or her term expires. Furthermore, for publicly-held corporations, the for-profit board must have responsibility for fiscal matters and all spending issues. A non-profit corporation serves a charitable, literary, religious, educational or other type of purpose. As a result, the board of directors must be cognizant of certain corporate duties which are unique to the non-profit board. The board has to take action to protect its tax exempt status, maintain financial stability and resources in order to operate, and to stay true to its non-profit cause.